The first of our stops was fresh from the airport: the blue lagoon. It wasn’t quite as sunny and blue as the website would have you believe, but that doesn’t mean it was any less amazing. 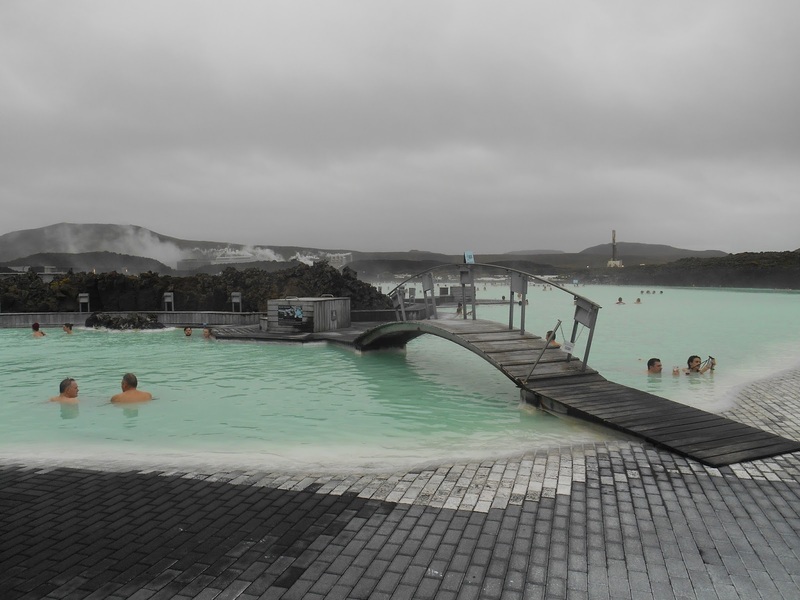 The lagoon was originally a man-made mistake resulting from the neighbouring geothermal power plant, but the pool is mineral rich and the water is fresh and warm. Steam billows on the surface of the water from the contrast between the cold Icelandic air (I think it was 5 or 6 degrees when I went) and the warmth of the water. The fun thing I didn’t know was that in the middle of the lagoon is a bar to buy drinks using a clever little wrist band. The north Atlantic ridge runs straight through the middle of Iceland, and this is a constructive plate boundary between the North American and the Eurasian plates. The placement of the country over this specific area means there’s a lot of volcanic and geothermal activity which makes for some epic photo spots (though most of these geyser sites smell very strongly of sulphur – which, in case you don’t know, smells of rotten eggs). 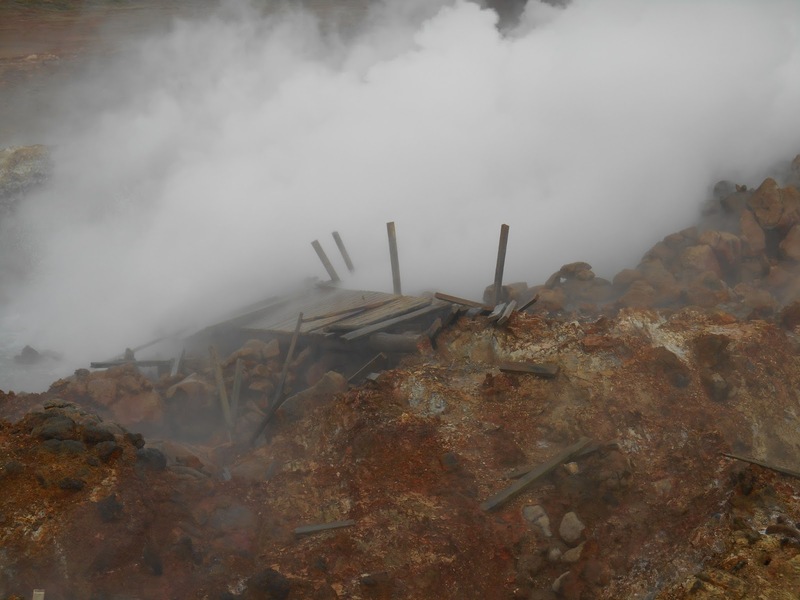 The photo above is of one hot spring site, and it moved around a couple of years ago, destroying the old boardwalk. You can see the steam from the boiling water from miles around, and up close it was dense enough to block out the entire landscape behind it – it honestly looked like something from a Disney movie, old school style. 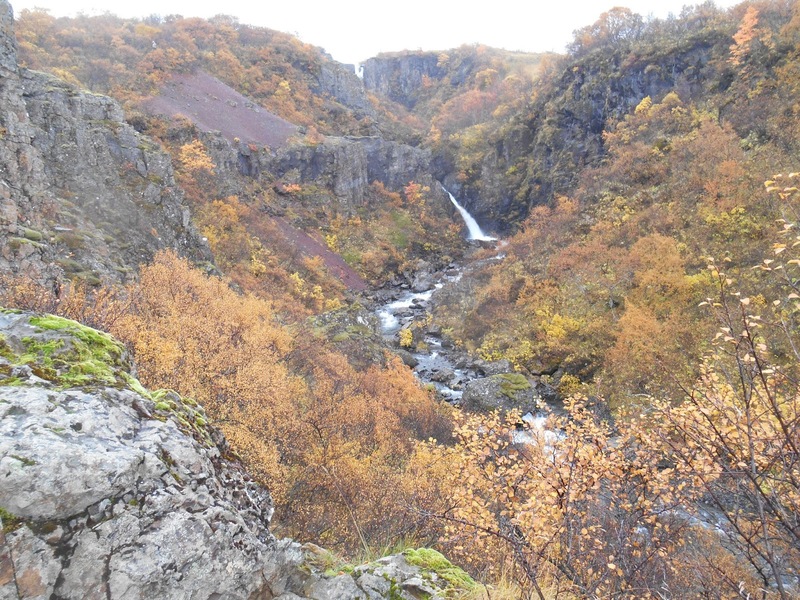 Another amazing activity I did during the week was seeing a lot of waterfalls. 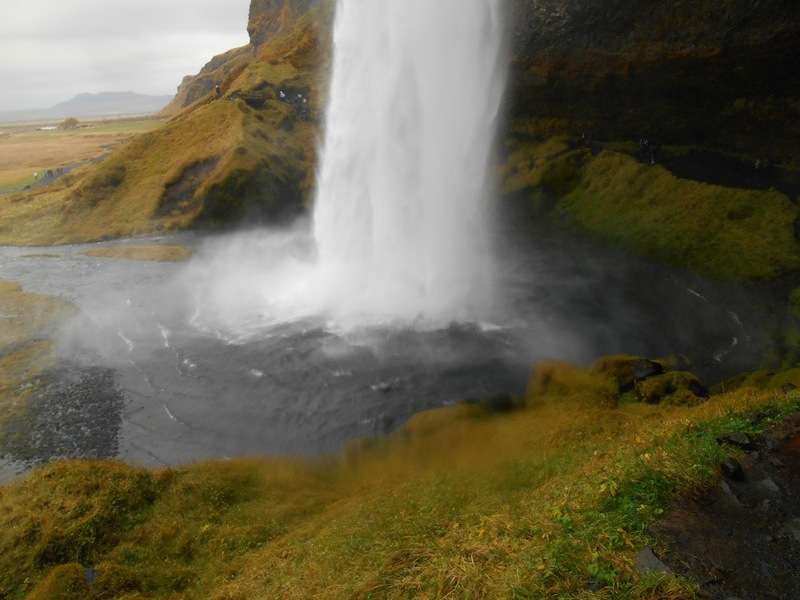 Iceland is also a glacial country, so the meltwater runs off into waterfalls. I actually had the opportunity to walk behind this one, and the power of the water hitting the plunge pool was stunning. We got absolutely soaked, as did our cameras, and fell over a fair few times because it was so slippery, but we beamed all the way through. Possibly what I was most excited for was our “glacier walk”. I say that in quotation marks, because what we were told would be a simple walk turned out to be a full-on hike. 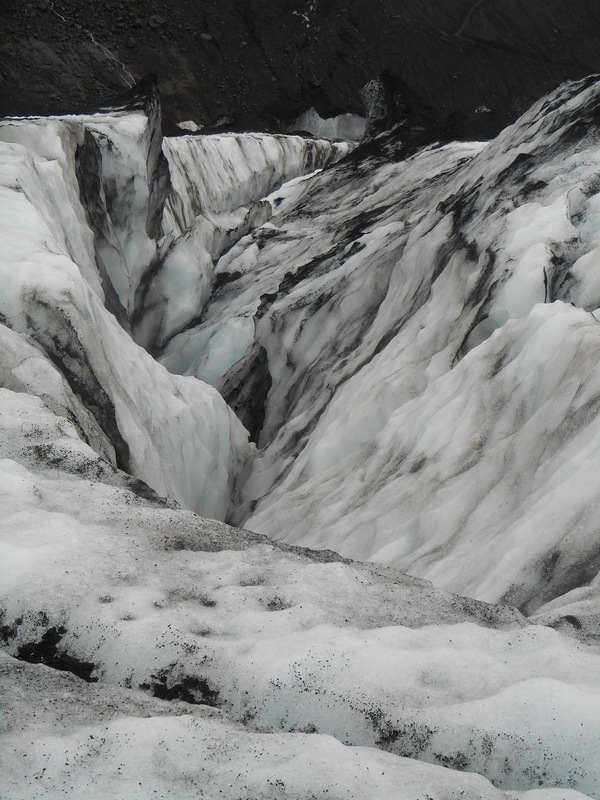 From the visitor centre to the edge of the glacier was a 30-minute hike through a valley, and then we fitted our crampons and took up our ice axes and got going. We actually tasted some of the glacier ice from a meltwater pool, just FYI. It tasted like cold water, wouldn’t you know. The hike was spectacular, and the geography student within me loved every second. The accident-prone klutz within me struggled a little more, but I managed without too many slips and trips. These were just a few of the amazing photos I captured last month, but they each represent something I’ll never forget. 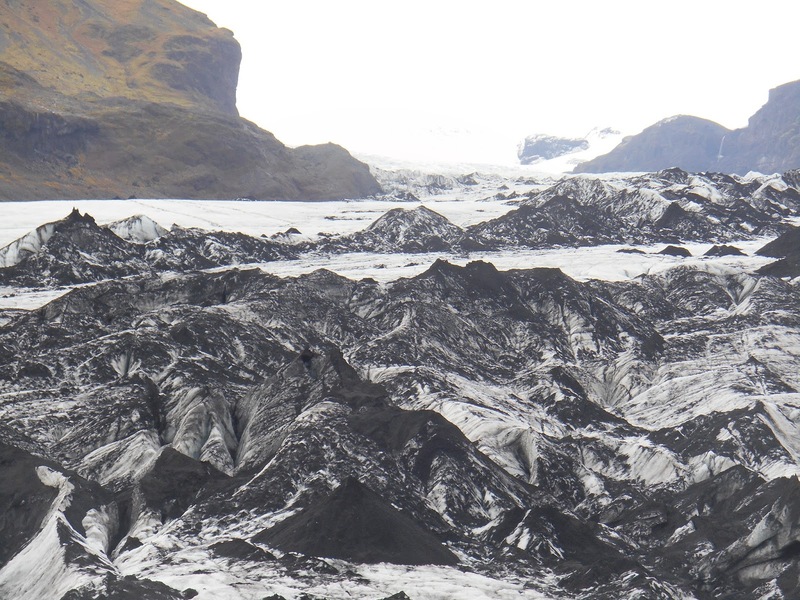 Iceland was barren, powerful, colourful and the weather temperamental, and it was one of the best experiences.